Last week Rovi Corporation formally announced it was acquiring TiVo for $1.1 billion, confirming anticipations set alight by the New York Times when it reported the two companies are in close acquisition talks. Prior to the announcement last week, both companies had maintained a “no comments” stance feeding into general doubt among industry experts. Indeed, TiVo had previously rejected interests from bigger players such as Google, Microsoft and Apple, and by all means it risked endangering its hardware unit. An acquisition by Rovi at this juncture sounded counter-intuitive to most. Yet, the acquisition did come to pass – and in short hindsight it appears to be well placed strategically. There is precedent of course to Rovi acquiring a company focused on its hardware business. In November 2014, Rovi acquired FanTv (Then Fanhattan) after the company struggled to sell set-top boxes despite a lucrative deal with Time Warner. Although Rovi executives seemed committed to FanTv’s hardware at the time, this stance changed soon after, with Rovi CEO Peter Halt publicly saying “We are not in, and don’t want to be in, a business that’s dependent upon any relationship with the hardware provider.” Shortly after, Rovi sold FanTv’s guides to TV operators all over the world and has since then bolstered the software team. According to market analysts and users of TiVo alike, this is the expected trajectory for TiVo as well. After fighting to maintain its brand identity all these years, why is TiVo really agreeing to a deal right now? A look at the performance of TiVo over the past few years and the company’s current situation reveals a few answers. Being squeezed by cable companies who provide consumers with their own DVRs as part of a bundle, and furthermore by companies like Netflix who let users directly stream their content; thereby avoiding the cable industry altogether, TiVo is currently going through a very uncertain phase. The graph below shows Netflix’s meteoric growth rate over the past few years. Note that the latest TiVo Bolt can record from online streaming sites like Netflix or even YouTube for offline viewing, and comes with a storage space of up to 1Tb. But with greater availability of high speed internet and greater availability of content-on-demand services, the recording feature of the TiVO Bolt continues to have diminished utility for the average customer. TiVo’s 99 problems don’t end with just cutthroat competition. Their prized US6233389 patent relating to a “Multimedia Time warping system” for allowing users to replay, speed up or slow down recorded video, though highly successful and widely licensed expires in 2018, along with various other key patents. According to reports, TiVo would see a significant decline in licensing royalties in 2019 and might become completely unprofitable unless they bring in new innovation or partnerships. TiVo has not tried out its more recent patents in a court of law and thus their potential value cannot be gauged. TiVo’s long time CEO Tom Rogers quit in January 2016 and TiVo has been without a CEO ever since. The stock price decreased to a little over $7.50 in mid-march this year; down from over $11.50 around the same time last year. Things really haven’t been looking very bright for TiVo and an acquisition really did seem like the best course. So, what’s in it for Rovi? 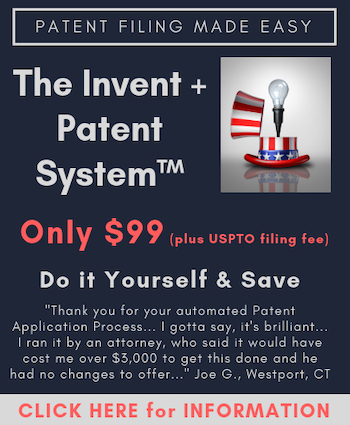 Rovi will be looking to add about 1100 patents that TiVo currently owns and strengthen its portfolio of over 10,000. Rovi generates over 27% of its income by licensing it’s IP to prominent cable TV providers. A great chunk of Rovi’s income also comes from litigating against other players infringing on its patents. Though, the last couple of years have been rough for plaintiffs and Rovi was no exception. A patent infringement case against Netflix saw 5 of Rovi’s patents get invalidated. TiVo has been very active in filling patents on data acquisition and data processing; which would come in handy for Rovi’s media guides to improve on. The average strength of TiVo’s patents in certain domains like recommendations and filtering relevant results could be directly applicable to OTT providers. TiVo also has strong patents in security, data processing and which will be valuable to Rovi in pursuing licensing deals with Amazon, Hulu and Netflix. TiVo’s Bolt is sleek looking product and has received generally positive reviews from users. The Bolt could also possibly fit into Rovi’s strategy by licensing out the product altogether and let other DVR manufacturers help improve their products. Yet another advantage of merging with TiVo is that it directly gains access to TiVo’s 10 million subscribers (in addition to Rovi’s own 18 million) where they can incorporate their revamped media guides. Overall, we can infer from the graphs that Tivo has patents filed in the same domains as Rovi, and by going ahead with the merger Rovi not only eliminates a competitor but also emerges stronger as it will have a 70% stake in the new entity plus have more innovation in its war chest. Whether Rovi uses that war chest to attack competition (which becomes harder or easier as the anti-software patent pendulum continues to swing), or to further refine the Bolt and Rovi’s own media guides or both – the acquisition does spell positive for both companies and their stakeholders. Rahul Vijh s a seasoned technology consultant and has advised AmLaw 100 firms and Fortune 500 corporations on IP licensing and litigation in technology areas such as telecommunication networks, enterprise software, search engine and internet technologies, consumer hardware and operating systems. He and his team at Copperpod IP are passionate about helping clients do what they do best, but do it more and do it faster.